A town with a population of 140 regularly welcomes 8,000 plus visitors from far and wide for it's annual two-day meeting in early September, in a location which is 850 miles west of Brisbane and 370 miles southeast of Alice Springs. 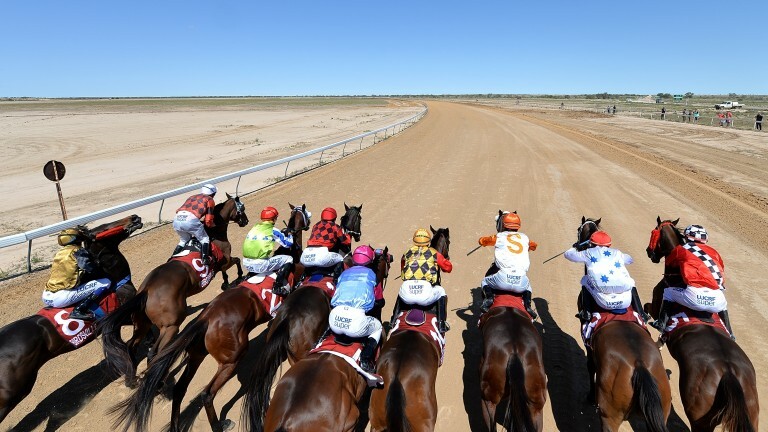 They've been racing in this corner of the Simpson Desert since 1882, but Birdsville rose to prominence among the dozens of Outback meetings in 1979 when Australia's Prime Minister, Malcolm Fraser, paid a visit. 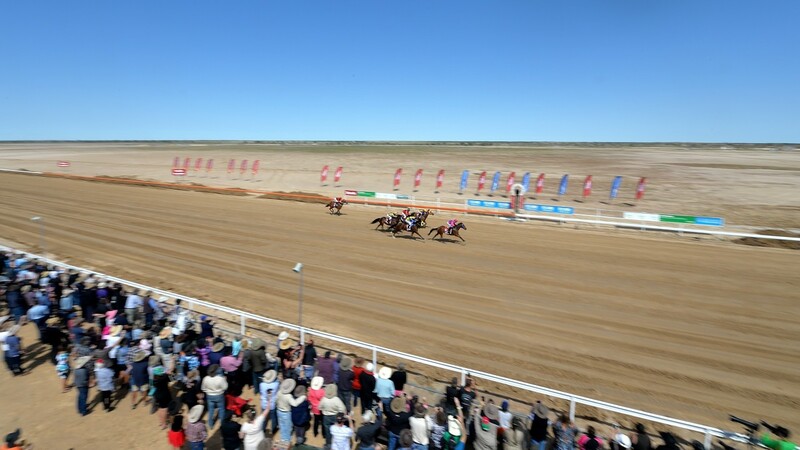 The runners leave large dust clouds in their wake on the dirt track oval, while racegoers are invited to take their chances against a travelling troupe of boxers in Fred Brophy's tent. Equidistant between Sydney and Melbourne, for many years Wagga Wagga's chief racing claim to racing fame outside Australia was as the home town of legendary jockey Scobie Breasley. But the Wagga Cup Carnival has become an institution to rival any of the country meetings scattered across New South Wales and Victoria, drawing large crowds on the first Friday in May as the Murrumbidgee Turf Club turns on the style. And with the Chris Waller-trained Life Less Ordinary carrying off A$156,800 (£83,000) first prize in the 2018 Cup, the turf racing at Wagga is not to be sniffed at. While Mysuru boasted a population of 920,000 in the 2011 census – not exactly in the middle of nowhere then – that still ranked outside the top 50 most inhabited cities in India. From its foundation in 1891 through to the building of the current sight in 1920 and throughout most of its history, Mysore was something of a curiosity in Indian racing, hosting a single six-day meeting each year. Arguably even more of challenge to reach is Ootacamund, a hill station which serves as an outlet to the Madras Race Club from April to September, when conditions become too steamy at the main Guigny track in Chennai. As late as December 2018, the MRC were involved with legal wrangles with the government of Tamil Nadu as to the future of the site and the future of racing at "Ooty" is far from secure. Racing horses has long been a mainstay of the Yhyakh festivals held in the Sakha Republic of Eastern Siberia, celebrations which coincide with the summer solstice in June. These traditionally feature the native Yakut horses but the Equestrian Federation sought to build on this heritage in recent years, introducing thoroughbreds into the nation's breeding programme and – according to the English language Siberian Times – maintaining a permanent track in the capital, Yakutsk, with races staged during the summer months. 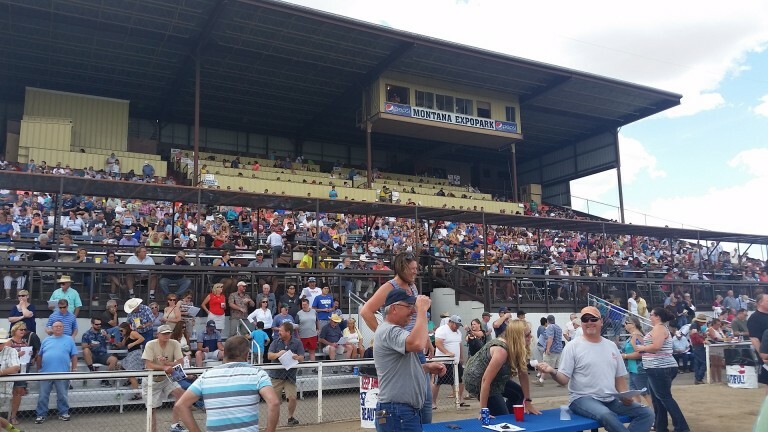 The United States's most sparsely populated region is undoubtedly the prairie north west, meaning any racecourse is likely to be some way from its nearest neighbour. Fans of filmmakers the Cohen Brothers might point to the fact that Fargo is home to North Dakota Horse Park but, with the twin cities of Minneapolis/St Paul a three-and-half-hour drive down the I-94 freeway, the Roughrider State has nothing on neighbouring Montana, which is 147,000 square miles in area and has just the one functioning track at Great Falls, a city of a little under 60,000 inhabitants. Nor is there likely to be a huge influx of visitors from any neighbouring metropolis for the main state fair meeting in July, since the track at the Montana Expo Park is a ten-hour drive over the Rockies from Seattle, while even racing-starved Canadians face a five-hour trek south from Calgary on off days for the city's Century Downs. Argentina has a proud tradition as the most advanced South American racing nation, with Buenos Airies boasting two of the continent's finest tracks at San Isidro and Palermo. Nearly 600 miles north west of the capital, reclaimed land on the banks of the Dulce river in Santiago del Estero was converted into the rough dirt oval of the Hipodromo 27 de Abril back in 1975. Speed is the governing passion here and as well as more familiar race distances, cards often feature sprint matches in cordoned lanes over little more than 300 metres. Things are slightly less rustic at San Miguel de Tucuman, Argentina's most northerly track, which draws crowds of 20,000 every September for the Gran Premio Batalla and is also notable for employing gaucho outriders. For many years Cartmel in Cumbria could claim to the Britain's most isolated track, sitting on the southern edge of the Lake District, well over an hour's drive from Carlisle to the north and Haydock to the south. 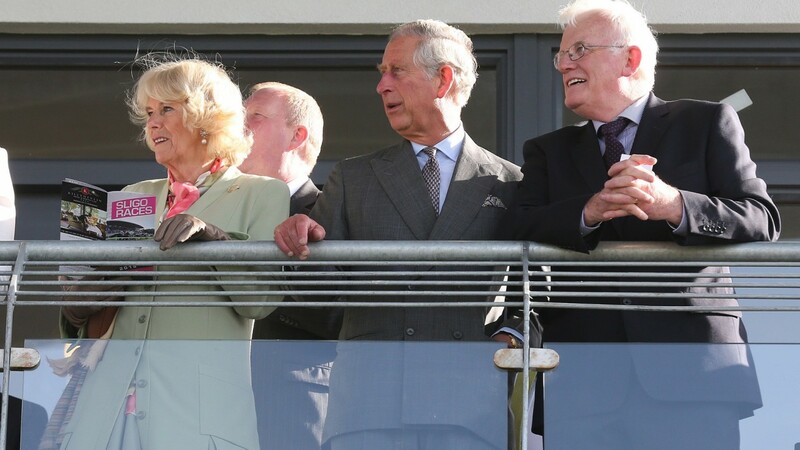 But the opening of Ffos Las at Trimsaran in the far west of Carmarthenshire a decade ago brought racing to a part of Wales that had been barren since the closure of Tenby in 1936. Ffos Las is 85 miles west of Chepstow by road, while Cheltenham is its next nearest neighbour. With 26 courses you're never too far from the action across Ireland but, in terms of distance from a major centre of population, it could be argued that Sligo – two hours north of Galway and an hour on from its nearest racing neighbour at Roscommon – takes the prize here. That didn't stop the Prince of Wales and the Duchess of Cornwall from making the pilgrimage in May 2015, presenting the prize to jockey Mark Walsh after the mares' maiden hurdle named in their honour, a race whose winner, Mollyanna, the Duchess went on to purchase.